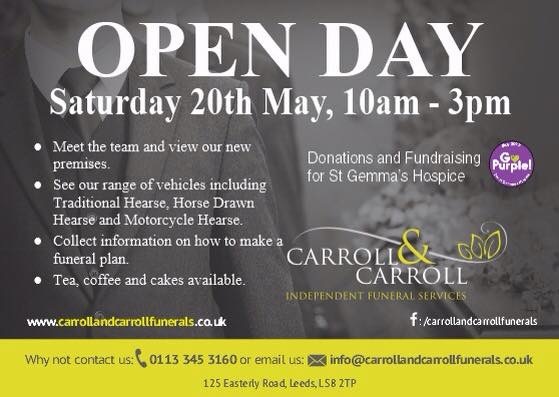 Following on from Dying Matters week , we are pleased to announce that we are having an Open Day at our new premises on Easterly Road, Leeds. We will be showing a selection of our vehicles and product ranges and giving people chance to meet the team, including Spangle our PAT dog! We are also taking the opportunity to collect for St Gemma’s Hospice as part of their Go Purple campaign. Come and eat some purple cakes with us and have a cup of tea.